Your hair is made up of keratin and chains of amino acids, or in simpler terms — protein! The constant use of harsh chemicals and frequent contact with heat and pollution can break down the protein in your hair and leave it feeling dry, brittle, and damaged. The only way to restore your hair’s health when this happens is to give it what it’s lost. While there are many different kinds of protein treatments available in salons, it’s a lot simpler and cheaper to use homemade protein hair packs. These packs help fill in the damaged keratin spots in your hair, making it stronger and healthier without the use of chemicals. But before you start treating your hair with protein, you first need to determine if that’s what it really needs. If your hair is dry, feels hard, and damaged, your hair is likely dehydrated and needs conditioning. If, on the other hand, you’ve noticed that your hair is stretching, feels mushy, and is breaking while you wash it, it is probably in dire need of protein. 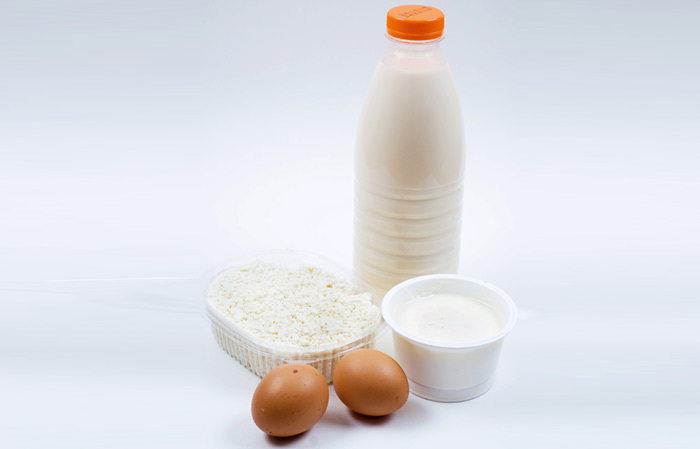 Egg, yogurt, mayonnaise, avocado, and coconut milk are some rich sources of proteins and here’s how you can use them to create some amazing protein-filled hair packs. Apply the mixture to your scalp and hair. Leave it in for 30 minutes. Rinse out the hair pack with cool water. You can use this hair pack up to twice a week. 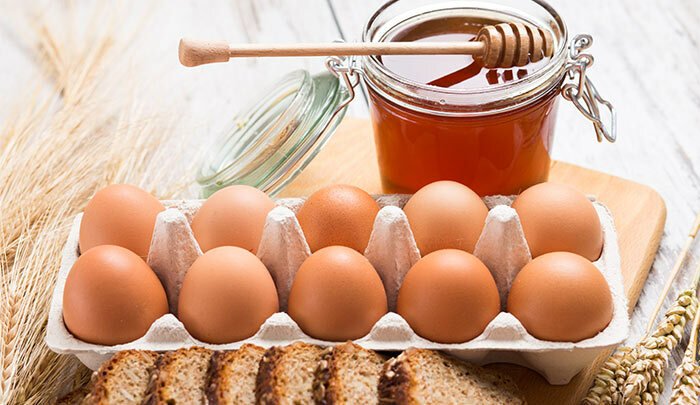 Eggs are power-packed with proteins and leave your hair feeling smooth and shiny. The yogurt effectively cleans your scalp and hair. After using this pack, your hair will be left feeling soft and silky. Mix the ingredients in a bowl until you get a smooth consistency. Apply the pack to your hair and leave it in for 15-20 minutes. Rinse out the pack with cool water. You can use this pack up to twice a week. Do not use this hair pack if you have oily hair. Do not leave the pack in for more than 20 minutes as honey has bleaching properties that can lighten your hair color if left in too long. This is one of the best hair packs to use if your hair lacks moisture as well as protein. The egg gives your hair the protein it needs while the almond oil and honey condition your hair and seal in moisture. It is also an excellent way to give yourself some natural highlights thanks to the bleaching properties that honey possesses. Mash the avocado until there are no lumps and to it add the coconut milk and olive oil. Mix until you get a smooth consistency. Wash off with shampoo and condition. Do not use this pack if you have oily hair as the avocado can weigh your hair down. Coconut milk is a rich source of protein while avocados contain vitamins A, B, and E, all of which are vital for hair health. This pack also boosts the production of collagen which promotes hair growth. The olive oil present in the hair pack conditions your hair, leaving it feeling soft and silky. Heat the coconut milk on a low flame for about a minute until it is warm. 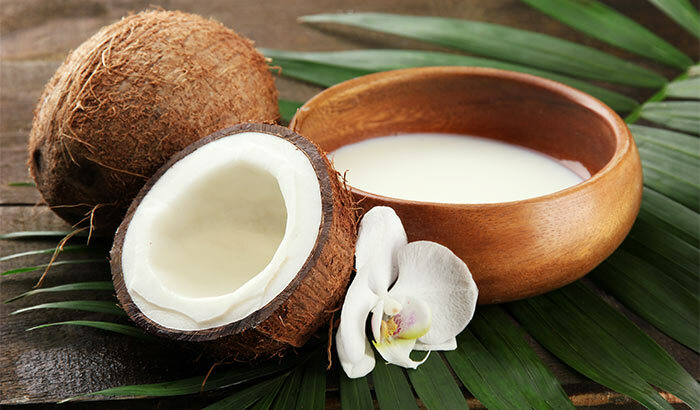 Massage the warm coconut milk into your scalp and apply it to your hair. Wrap your hair in a towel and leave the coconut milk in overnight. Shampoo and condition the next day. You can repeat this twice a week. Do not overheat the coconut milk. Coconut milk is packed with saturated fatty acids and vitamins B, C and E. It conditions your hair while filling in the damaged protein spots. This is also considered as the best protein treatment for hair as it effectively tackles dandruff while promoting healthy hair growth. 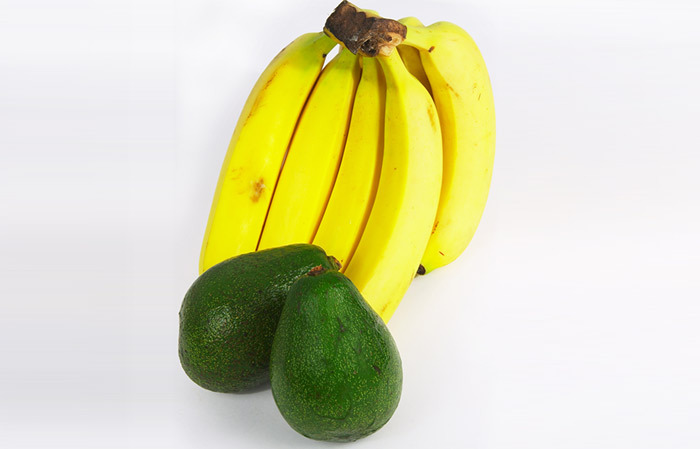 Mash the avocado and banana until they are no lumps. To this, add the oils and mix well. Apply this mixture to your hair and leave it in for an hour. Rinse the pack out with cool water. Apply this pack once a week. Twice for hair that is extremely dry. Do not use this pack if your hair is oily. Bananas are rich in amino acids that help repair the protein damage in your hair while avocados are rich in essential vitamins that maintain hair health. This pack is also rich in antioxidants that prevent damage. Mash the avocado and to it add the mayonnaise. Mix until well-combined. Rinse it out with cool water. Apply this protein mask for hair once a week. Do not use this mask if you have oily hair. 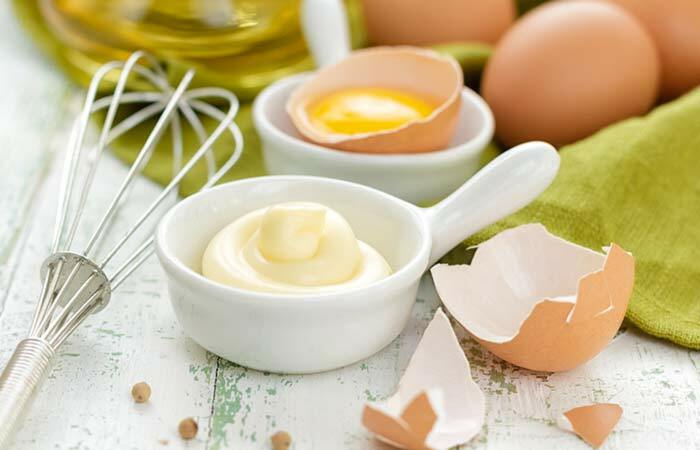 Mayonnaise contains eggs which are packed with proteins that provide nourishment to your hair. This pack is filled with fatty oils that will condition your hair while nourishing it. Using this hair pack once a week will make your hair smooth and shiny. 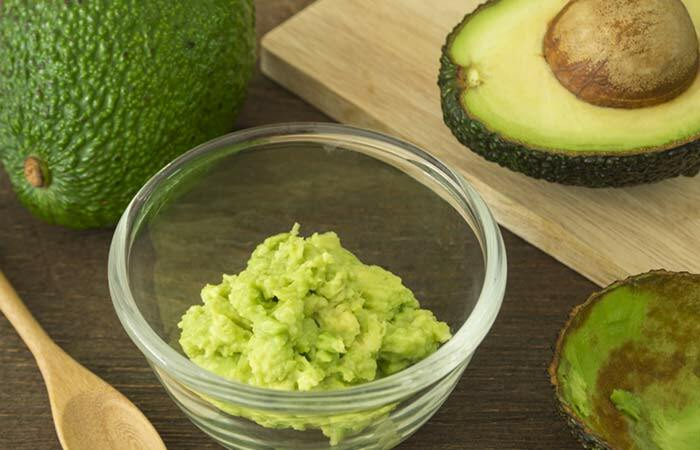 Mash the avocado and mix it with the other ingredients until you get a smooth paste. Apply the mixture to your scalp and hair and wait for 30 minutes. Shampoo and condition your hair. Use this pack once a week. You can use it twice for hair that is extremely dry and damaged. Do not use this pack more than once a week if you have oily hair. This pack is as hydrating as it is nourishing. The olive oil present in it is a natural conditioner that leaves your hair feeling soft. 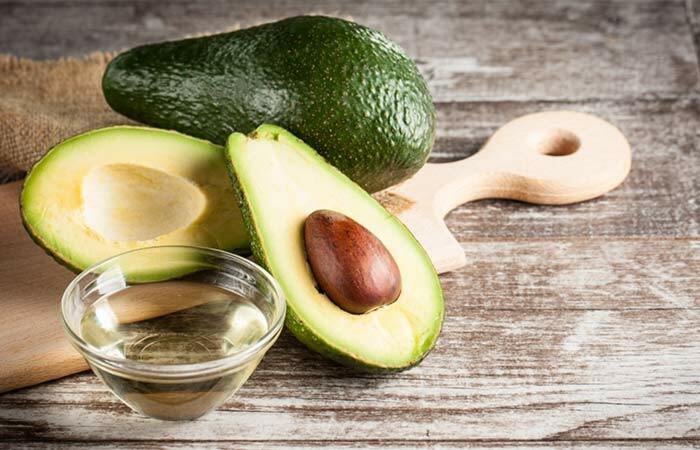 The proteins present in the eggs combined with the vitamins in avocado provide your hair with just the right amount of nourishment. Mix all the ingredients until you get a smooth paste. Apply the hair pack to your scalp and hair. Leave it in for 45 minutes. Use this pack twice a week for dry hair. Do not use this pack more than once a week for oily hair. A hair pack that contains yogurt is excellent for cleaning your scalp and hair shafts. It removes build up while moisturizing and nourishing your hair. Mash the avocado and add the oil and mix until you get a smooth paste. Apply this mixture to your hair and leave it in for 45 minutes. Wash your hair with shampoo and condition. Use this pack once a week. Do not use this hair pack for oily hair. 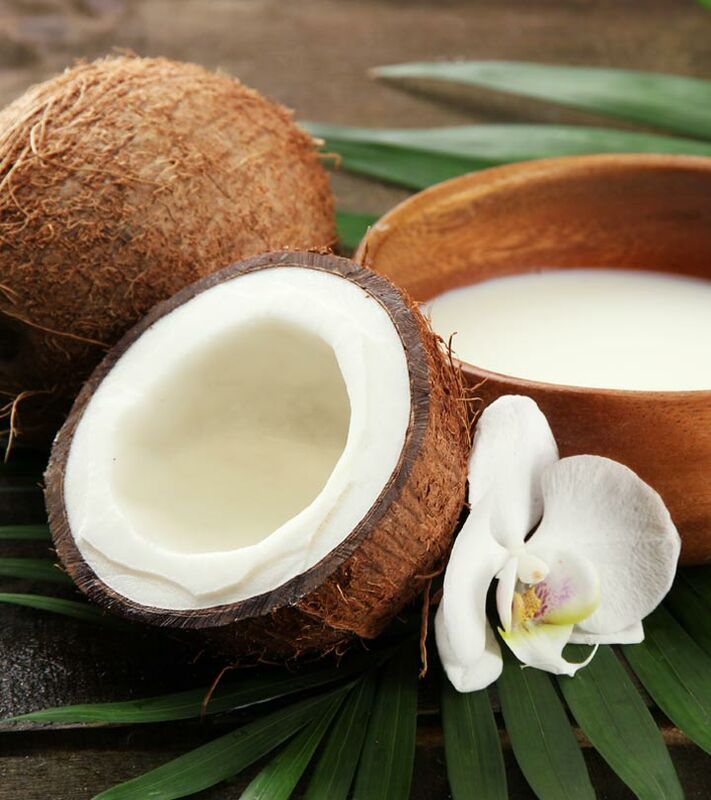 Coconut oil has penetrative properties that repair your hair from the inside. It also consists of fatty acids that repair protein damage. 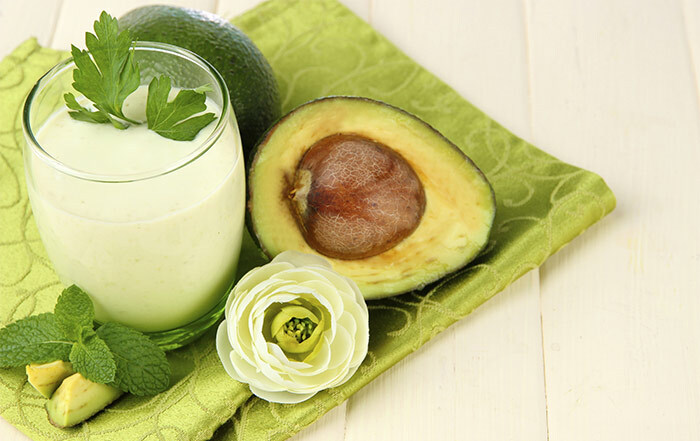 In combination with avocado, it creates an excellent hair pack that makes your hair healthy and strong. Combine the ingredients until they form a smooth paste. Apply this mixture to your hair and leave it in for 30-45 minutes. For combination hair, apply this pack from the mid-lengths of your hair. 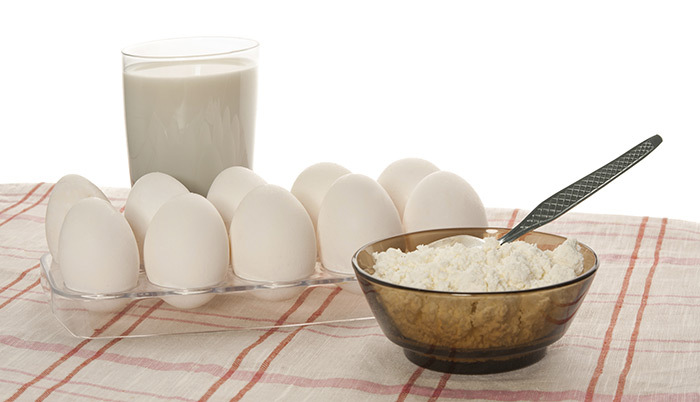 Both mayonnaise and egg are rich in protein, and so this pack is fantastic for taming uncooperative hair. Most of these hair packs take less than 5 minutes to prepare and will give you the same results as a commercial hair mask that is likely to cost you a lot more. With a little extra effort, your hair can be restored to its former glory in no time! Do you use protein hair packs? What works best for you? Tell us in the comments section below. 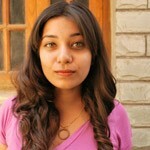 Women love to have long, beautiful, shining and straight looking hair. In order to get this, they try different things, and permanent hair straightening is one of them. If your hair is dry and frizzy, it is screaming for moisturization. It's simple – your hair is like a plant. The more you water it, the more it grows. Regular oiling is excellent, but applying a hair mask gives it extra nourishment from root to tip.